Fearless first-time filmmakers embarked on an intensive 10-week video production workshop this summer, and now show off their chops in the world premiere of Unsung Voices 5. All filmmakers in attendance. All films have English subtitles. 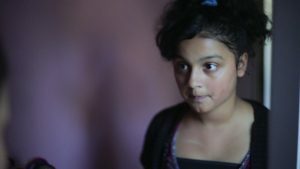 A 9-year-old Pakistani Canadian girl struggles to understand her mother’s cultural expectations of beauty. Haaris Qadri is currently in his second year studying film production at York University. Inspired by his community, he aims to showcase narratives currently underrepresented in the mainstream media. A skeptic and a believer find themselves at odds when they are matched in a psychology experiment designed to make them fall in love. Jennifer Su is currently studying socio-cultural anthropology at the University of Toronto. She is interested in themes of identity, community, and universals, through her art and research. 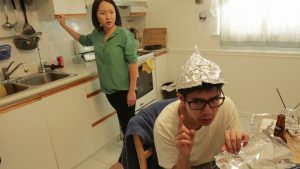 An awkward conspiracy theorist decides to investigate his roommate and discovers that they have more in common than he thought. 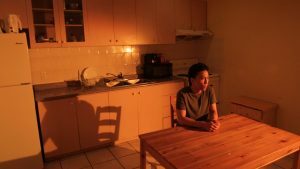 Samuel Wai Chi Wong is a Chinese Canadian artist who has worked in animation, and now film. 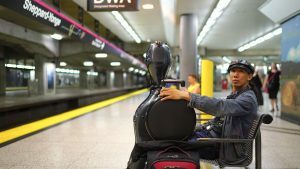 Chinese cellist Leo Zhang regularly performs in the TTC subway; he reveals the cross-cultural bond formed within his band in this documentary. Iven Tu is a Rotman commerce student at the University of Toronto. An experimental piece that explores the ephemeral connection two people have before meeting. Michael Tian is currently studying Political Science and Philosophy at the University of Toronto. He is influenced by the works of filmmakers such as Wong Kar-Wai. 17-year-old Emma embarks on a journey to try and forget a charismatic girl who befriended and deserted her. Sophie Wang is a 3rd year Computer Science and Cinema Studies student at the University of Toronto. Film is her favourite form of creative expression. Clueless and self-centered, Rachel phones her Cantonese speaking mother asking help while babysitting a 10-month- old child. A graduate of the Humber Theatre Performance program, Vivian Or is an actor and performance artist. She has performed with Shakespeare in the Ruff and fu-GEN Theatre.